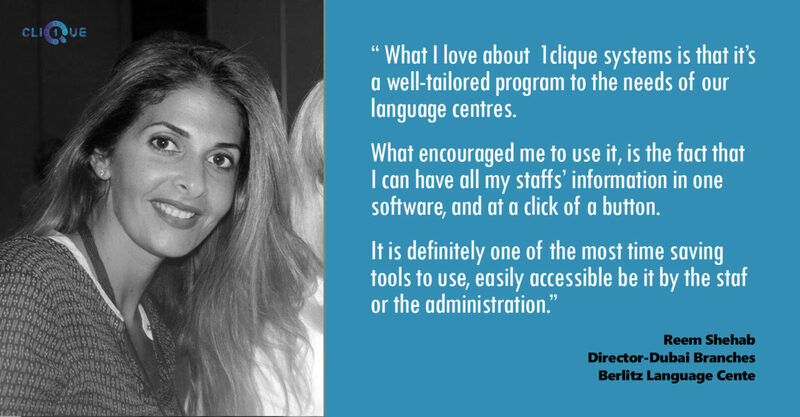 “What I love about 1CLIQUE is that its program is well tailored and bespoke to the needs of our language centres. What encouraged me to use it, is the fact that I can have all my staffs’ information in one software, and at a click of a button. This entry was posted in testimonial and tagged client, hr software, testimonials.